London's first timber skyscraper could be a step closer to reality this week after researchers presented Mayor of London Boris Johnson with conceptual plans for an 80-storey, 300m high wooden building integrated within the Barbican. Researchers from Cambridge University's Department of Architecture are working with PLP Architecture and engineers Smith and Wallwork on the future development of tall timber buildings in central London. Dr Michael Ramage, Director of Cambridge's Centre for Natural Material Innovation, said: "The Barbican was designed in the middle of the last century to bring residential living into the city of London – and it was successful. We've put our proposals on the Barbican as a way to imagine what the future of construction could look like in the 21st century. "If London is going to survive it needs to increasingly densify. One way is taller buildings. We believe people have a greater affinity for taller buildings in natural materials rather than steel and concrete towers. The fundamental premise is that timber and other natural materials are vastly underused and we don't give them nearly enough credit. Nearly every historic building, from King's College Chapel to Westminster Hall, has made extensive use of timber." Kevin Flanagan, Partner at PLP Architecture said "We now live predominantly in cities and so the proposals have been designed to improve our wellbeing in an urban context. Timber buildings have the potential architecturally to create a more pleasing, relaxed, sociable and creative urban experience. "Our firm is currently designing many of London's tall buildings, and the use of timber could transform the way we build in this city. We are excited to be working with the University and with Smith and Wallwork on this ground breaking design- and engineering-based research." 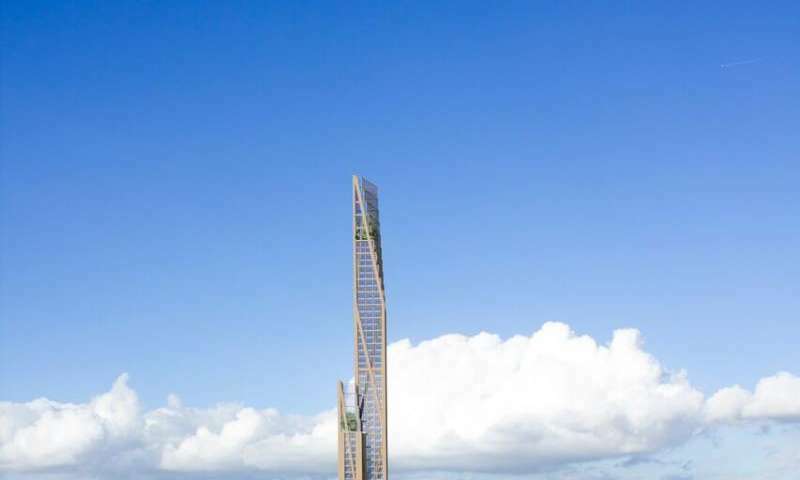 The tall timber buildings research also looks towards creating new design potentials with timber buildings, rather than simply copying the forms of steel and concrete construction. The transition to timber construction may have a wider positive impact on urban environments and built form, and offers opportunities not only to rethink the aesthetics of buildings, but also the structural methodologies informing their design as well. Just as major innovations in steel, glass and concrete revolutionised buildings in the 19th and 20th centuries, creating Joseph Paxton's Crystal Palace and the Parisian arcades described by Walter Benjamin, innovations in timber construction could lead to entirely new experiences of the city in the 21st century. The type of wood these new buildings would use is regarded as a 'crop'. The amount of crop forest in the world is currently expanding. Canada alone could produce more than 15billion m³ of crop forest in the next 70 years, enough to house around a billion people. At present, the world's tallest timber building is a 14-storey apartment block in Bergen, Norway. 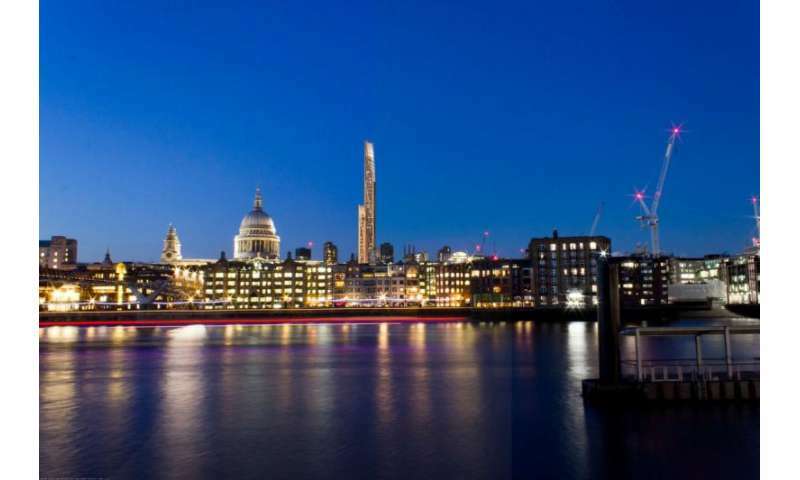 The proposals presented to Johnson included concepts for a timber tower nearly 300m high, which would make it the second tallest building in London after The Shard. Dr Ramage added: "We've designed the architecture and engineering and demonstrated it will stand, but this is at a scale no one has attempted to build before. We are developing a new understanding of primary challenges in structure and construction. There is a lot of work ahead, but we are confident of meeting all the challenges before us." Perhaps the most obvious concern for potential residents of homes built primarily from timber is fire risk. However, the team involved in the project said the proposed building would eventually meet or exceed every existing fire regulation currently in place for steel and concrete buildings. Recent research has also shown that timber buildings can have positive effects on their user and occupant's health. Some recent studies have also shown that children taught in schools with timber structures may perform better than in those made of concrete. But only man can make a fortieth floor."